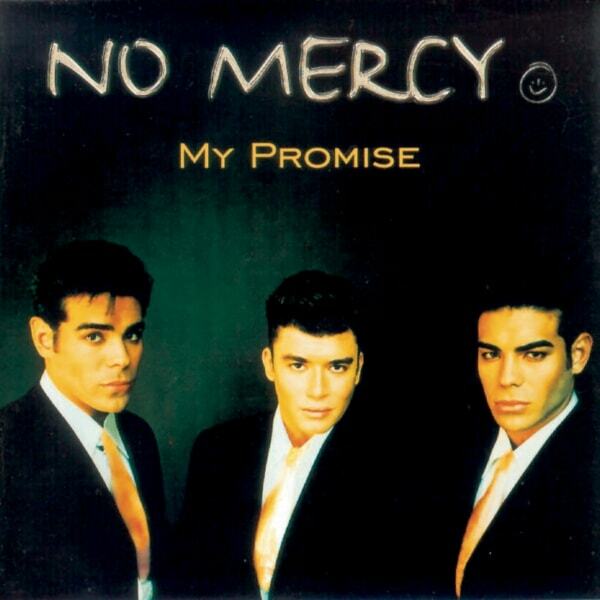 No Mercy are a trio originally formed in Germany by producer Frank Faria in 1996. So far the German trio has released four studio albums, My Promise (1996), No Mercy (1996), More (1998) and Day by Day (2007). The above is the debut album of the band, titled “My Promise“, which was released in 1996 via Hansa Records. The fonts used on the album cover are ITC Blair and FF Justlefthand, with the band name set in FF Justlefthand Regular and the album title set in ITC Blair Medium.